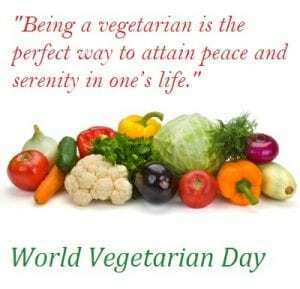 World Vegetarian Day 2018 falls today i.e. 1st October 2018 and marks the beginning of the Vegetarian Awareness Month. Celebrated on the 1st of October every year since 1977, World Vegetarian Day is an observance day designed to raise awareness about vegetarianism and to promote the benefits this lifestyle provides. Benefits that not only include better health for those practicing a vegetarian lifestyle, but also benefits proposed benefits to society and the environment as well, This day is also the first day of World Vegetarian Month which concludes with World Vegan Day on November 1st. 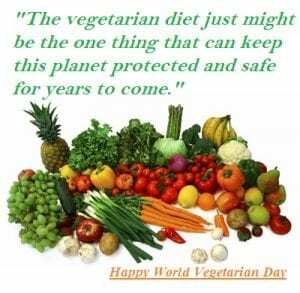 World Vegetarian Day was first enacted by the North American Vegetarian Society (NAVS) in 1977 as a way to promote the vegetarian lifestyle among non-vegetarians. A year later, it would become adopted by the International Vegetarian Union in 1978. Over the past four decades it has slowly gained popularity as more and more people began looking at the moral, economic and environmental issues surrounding the consumption of meat. October 1st is the annual kick-off of Vegetarian Awareness Month. Make a difference this October by informing others about the benefits of vegetarianism. 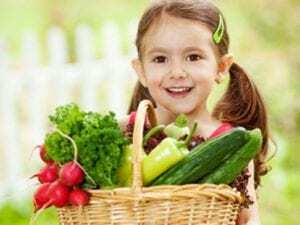 You will be helping to create a better world because vegetarian diet have proven health benefits, save animals’ lives and help to preserve the Earth. A vegetarian is a person who does not consume meat or products of animal slaughter due to ethical, moral, or religious concerns. There are many varieties of vegetarianism. Ovo-Lacto vegetarians, for instance, eat eggs and milk, but no other animal products. Adherents of more strict forms of vegetarianism, such as vegans, tend to abstain from consuming anything that may include any kind of animal products or may be made from animal labor, such as animal testing. 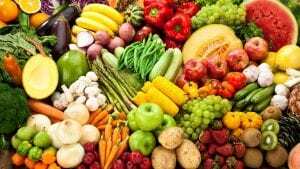 Other types of vegetarians include raw vegetarianism, where followers only eat raw foods or products that have been dehydrated; and fruitarianism, where adherents only consume fruits and nuts, preferably obtained without any harm to the plant. In India, members of the Jain religion follow a form of vegetarianism that not only prohibits eating animal products, but also restricts consumption of root vegetables like onions, potatoes, and garlic. The country with the largest vegetarian population is India. About two-thirds of the world’s vegetarians currently reside in India and the country accounts for more vegetarians than any other country in the world. 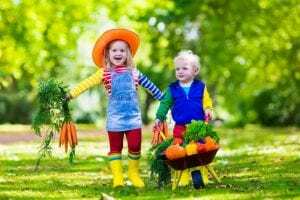 A recent study done in Great Britain showed that the IQ of a child could be used to predict whether that child would become a vegetarian or not. According to this study, the higher a child’s IQ the more likely they are to become a vegetarian. Famous vegetarians include Mohandas Gandhi, Jane Goodall, Sri Chinmoy, George Benard Shaw, John Harvey Kellogg, Meat Loaf, Benjamin Franklin, Sir Isaac Newton, Mark Twain and Henry Ford. In many cultures, vegetarianism is an integral part of religion. Many sects of Hinduism, Buddhism, and Jainism prohibit the consumption of meat and animal products, though the use of milk, honey, and sometimes unfertilized poultry eggs is acceptable. Religious vegetarianism tends to be rooted in a philosophy of non-violence and compassion towards the natural world. Many other people follow vegetarianism as a way to protect the environment – they believe that raising and killing of animals for food negatively affects the environment, creates pollution, and contributes to climate change. Many follow vegetarianism out of concern for animals and their treatment at farms where they are being raised for food. 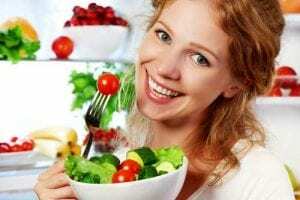 Others on the hand, adopt the vegetarian diet for its health benefits. Research has shown that a plant-based diet can help reduce the risks of heart disease, diabetes, and some kinds of cancer. What Happens on World Vegetarian Day? 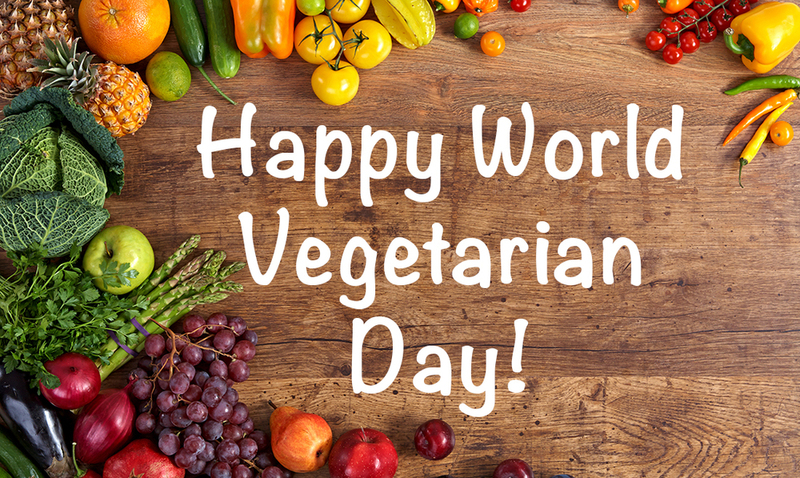 World Vegetarian Day is not an official holiday, so businesses, schools, and government offices are open. 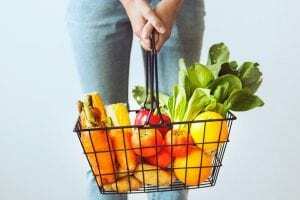 Many vegetarian organizations and groups use this day to spread information about the benefits of vegetarianism and to educate people on how to switch to a vegetarian diet. Many food outlets and restaurants provide only vegetarian meals for the day, while schools and educational institutions may offer cooking classes using vegetarian ingredients for their students and the general public. Even if you’re not a vegetarian, become one for a day. Bring some vegetarian food to share with your office or school mates. Don’t want to put in any extra effort? Buy a ready-made veggie tray. Everybody loves veggie trays—even the most avid meat eaters. Are you the type of person who skips over the vegetarian section of the menu without so much as a cursory glance? Today, take the opportunity to explore the veggie offerings, and opt for a meatless meal. Who knows? Maybe it’ll be more delicious than that steak. Some of the freshest and most delicious vegetables and fruits can be found at your local farmer’s market. With fall in the air, you’re sure to find a diverse offering of meatless foods to appeal to any taste or mood (including pumpkin!). Going meatless not only spares animals — it also conserves fossil fuel. Did you know it takes 78 calories of fossil fuel to churn out 1 calorie of beef, but just 1 calorie of fossil fuel to produce 1 calorie of soybeans? That’s 780% more efficient than meat production! 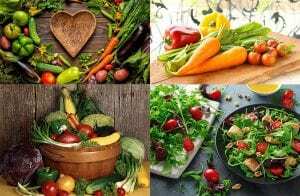 Vegetarian diets typically involve consuming lots of the good stuff you can’t always find in meat: fiber, folic acid, vitamins C and E, magnesium, unsaturated fat, and tons of phytochemicals. That translates into lower cholesterol, reduced risk of heart disease, lower blood pressure, and a healthier weight. Meatless diets get a bad rap for being bland and tasteless — but that’s not always true. Almost any vegetable can be turned into scrumptious veggie-based pancakes. Pizza (as long as it doesn’t contain sausage) is totally still an option. Ice cream is good to go. Who said vegetarians can’t have fun? World Vegetarian Day is a day for everyone to take a look at their eating habits and to reflect on how those eating habits may affect one’s health, society and the environment. It is also a day that allows people to try out the vegetarian lifestyle without committing to it completely, So enjoy vegetarian day. Previous articleTop 10 World’s Most Beautiful Places You Should Visit: CheckOut!